Although this blog is called I Run For Wine, I also run for beer. Regardless if I am running a full marathon or a 5K, there is nothing I love more than a cold beer after a run. Especially when that cold beer is from Tampa's famous Cigar City Brewing. With that said, I am so excited to run the Inaugural Cigar City Brewing River Run, a 2 mile fun run along the Tampa Riverwalk. 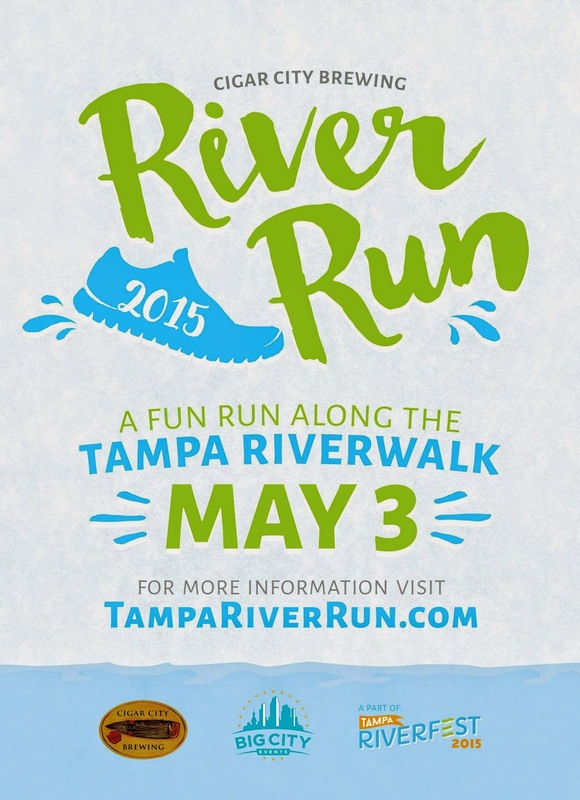 Register now for the Inaugural Cigar City Brewery Tampa River Run! 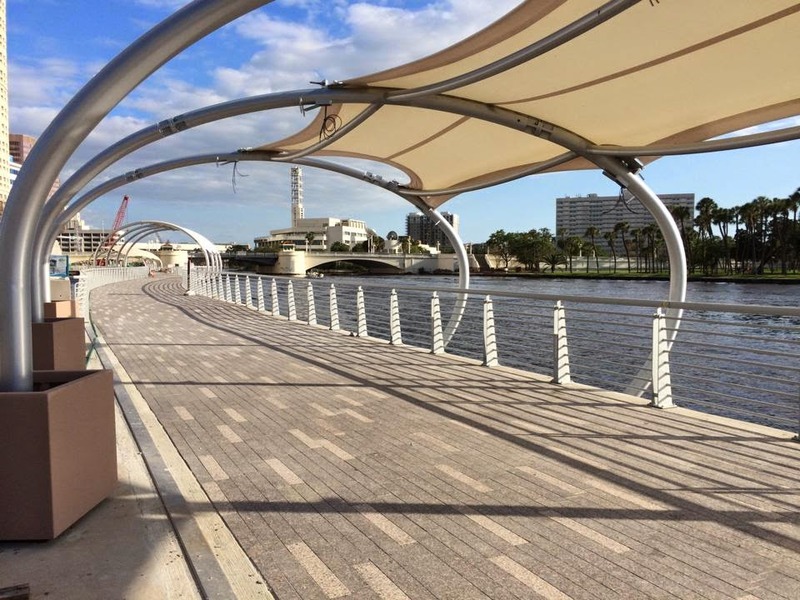 Run, hop, stoll, jog on the newly completed Tampa Riverwalk in Downtown Tampa! Your registration includes a Shirt, a Bottle Opener Medal, and 1 free Cigar City Beer after the race at the Beer Garden at the Tampa Downtown Carnival. 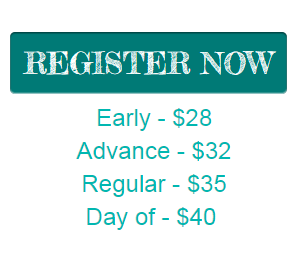 Don't wait - early registration for only $28 a participant ends at midnight tonight and will go up to $40 the day of. This will be a great inaugural event you don't want to miss. Since we live less than a mile from River Walk, we will be using Coast Bike Share since they have hubs all over Downtown Tampa and the Riverwalk! I want you to run with me! 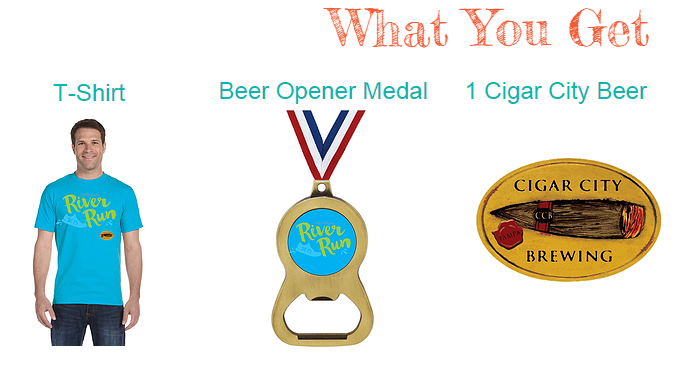 I am giving away 2 entries to the Cigar City Brewing River Run!! Leave a comment below letting me know what you are most looking forward to at the Inaugural Cigar City Brewing Tampa River Run: Running on Tampa Riverwalk, receiving the inaugural River Run medal, the inaugural River Run shirt or drinking a Cigar City Brewing beer after you finish. Make sure you use the Rafflecopter Widget after you comment for more chances to win! a Rafflecopter giveaway *As a member of the Tampa Bay Bloggers, I did receive complimentary registrations to the River Run with Big City Events in exchange for this post. As always, all opinions are my own. Cigar city beer! IPA ... Yummmm!! Running!! j/k even though I am a big runner I am looking forward to the medal! Dual purpose? Sign me up!